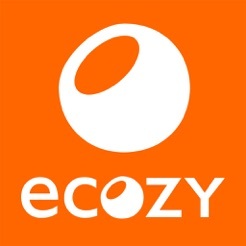 eCozy - manage heating for your home. From anywhere. 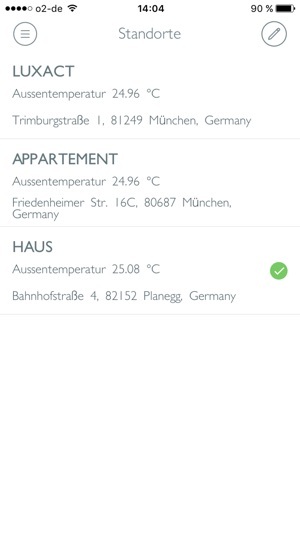 The eCozy App lets you easily control your eCozy Thermostats via the eCozy Central Unit from anywhere in the world. The app gives you the opportunity to monitor and control heating effectively in any locations (home, remote locations), where you have your eCozy Devices installed and remote temperature control is desired. Pre-heat your home for the perfect arrival - with the “WarmUp!” feature! 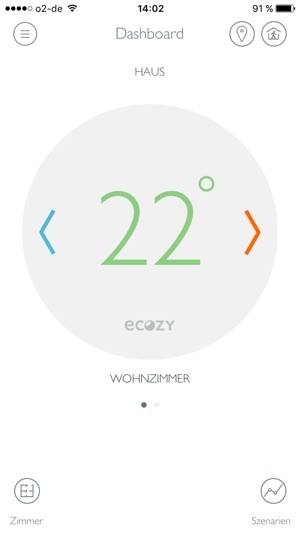 At eCozy GmbH we not simply digitize, but improve your home heating experience with smart and connected valve thermostat, that emphasizes frictionless usability and clean, easy user interface. 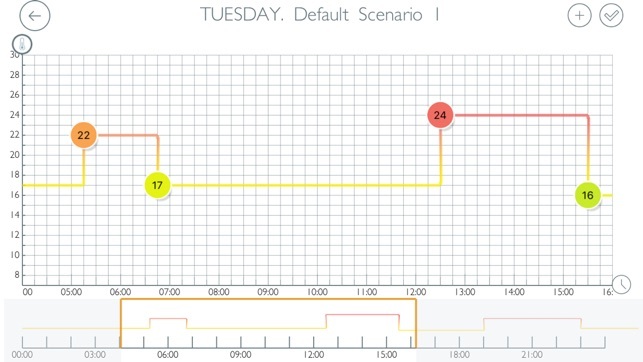 The eCozy Thermostat learns your heating environment (one room, many rooms) with each heating cycle more precisely and understands the different parameters that impact the temperatures and the comfort you feel at home. 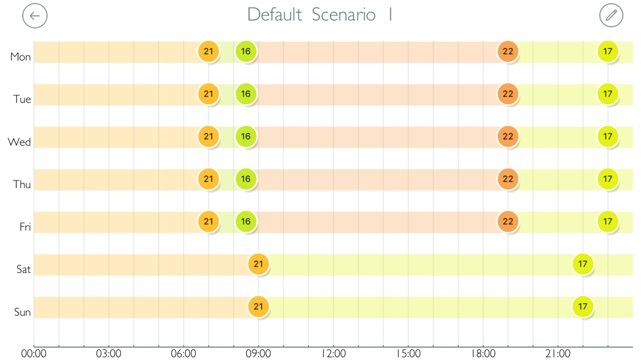 View and edit your thermostat heating schedule at your fingertips! 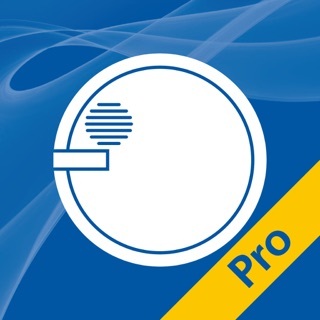 Get anti-fire and extreme temperatures alerts on the app. Adjust temperatures anytime, anywhere: on your way to work, in the gym, or from the Fiji Islands! Use different advanced child-protection locks (four security levels available to choose from). Change illumination of the eCozy Central Unit - easily turn the smart hub into a cozy nightlight! Some features require a working Internet connection and WLAN. Hierbei handelt es sich um das rundum sorgvoll Paket von Ecozy. Aber auch wirklich NICHTS bei dem Produkt funktioniert so wie es soll - es sei denn sie wollten schon immer einen Batteriefresser zuhause haben. Die App verliert laufend die Kontrolle über die Thermostate während selbige mit Batterien fressen beschäftigt sind. Die App ist absolut unübersichtlich und schlecht programmiert (finden Sie mal das Dashboard in der offenen App). 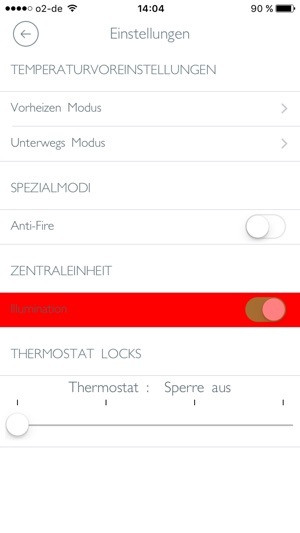 App deinstalliert und Thermostate abmontiert.